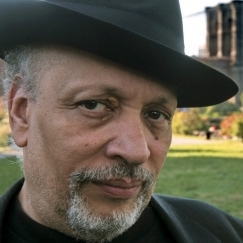 WALTER MOSLEY is one of the greats. He’s a prolific novelist who is best known for his crime fiction. He’s also written bestselling science fiction, literary fiction, nonfiction, and beyond — over 43 books at last count. 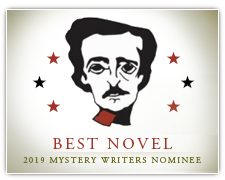 Among others, he’s won an O. Henry Award, a Grammy, PEN America’s Lifetime Achievement Award, and he’s the Mystery Writers of America’s 2016 Grand Master. 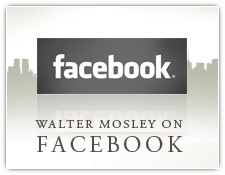 At 64, Mosley is at the top of his game. He is perhaps a little young to be considered an elder statesman, but he’s easing into the role with grace. He’s deeply knowledgeable but without pretense, rejecting the mystique that sometimes surrounds writing in favor of daily practice and attention to craft. When I met him, he wore his signature fedora and a playfully elegant, oft-described oversized African gold ring. We sat down during UC Riverside’s Writer’s Week, at which Mosley was a keynote speaker. I took the opportunity to ask him for some tips about writing, to discuss his recent hand-lettered memoir, the musical that he’s working on, and why he doesn’t tweet. KATE BURNS: You write about an incredibly diverse array of characters. Any tricks you have to help get into other people’s skins, or write characters from very different backgrounds from your own? 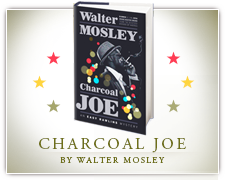 WALTER MOSLEY: I make it up. Honestly. All of us are so different. I heard a story … I think it was J.P. Morgan. His family had money, but his mother was insanely cheap. This guy, who I think was J.P. Morgan (but might not be), got an infection. His mother went to every free clinic in the city to try to get the infection treated and he ended up losing a limb. Part of his leg or something like that. And you would think, being rich, she would have just paid for it. And instead he paid for it with his leg. And once you hear something like that you think wow, so, I think I know what it’s like to be rich, but I don’t. All I know is what I think I would be like if I was rich. But indeed, even that may not be true. So then when you start writing about characters from different races, different classes, stuff like that, it always ends up being about who they are individually. Inside the sphere of wealth or poverty or politics or being a policeman, you know, whatever. Your most recent book is a hand-lettered memoir, very different from your usual work. I do a lot of drawing, and a lot of The Graphomaniac’s Primer is drawing. I had this idea, and this really good paper, and a drafting pen, so what I did is — I had the pen, I had the paper — I wrote a tiny little “a” in the upper left and corner and then wrote a’s all the way across. And then another line butted up to that, and another, and another, all the way down to the bottom. Just feeling it out. And it looked really nice. And so I thought let’s do b’s, see what they look like. They look really different. B has that line and the hump so there are spaces. There are no spaces in the a’s that are not interior to the letter, so that made a different form, then the c’s. They’re a little more open than the a’s — there’s less going on — but they’re more closed than the b’s. And so I was about halfway through the alphabet when I thought, this would be a great graphomaniac’s primer. What exactly is a graphomaniac? A graphomaniac is a person who can’t stop writing, they’re just writing and writing and writing and writing. R. Crumb and his brother used to write comics together. There was a biopic of R. Crumb and they showed the brother, who wrote normal comics, but then the bubble when they were talking got larger and larger until finally there was only one square on each page, and the person would be down here and the rest would be writing. The guy’s just talking, talking, talking, talking. It’s writing, but it’s also obsessive writing. Excessive talking, obsessive. So I thought, wow, I’ll create this thing and it’ll be the alphabet, and the numbers, and some characters. And then I kept writing, and I was about halfway through it when I realized that I’m saying, almost tongue in cheek, that I’m writing a graphomaniac’s primer, but that indeed, I am a graphomaniac. What about the memoir part of it? I’m really critical of memoir. I think it’s overused and misused in literary culture today. People are writing memoirs: my father raped me, my mother never paid attention to me, my mother took me to free clinics when she had money and I lost my leg, and it’s like, what do I care? I mean, I care that these things happen. But memoir to me is like if you were the secondary aide to Robert E. Lee during the Civil War, and then remembering your life is remembering the important moments in the Civil War. That’s interesting. Or maybe you’re Abe Lincoln and you’re writing how you made the decision to free the slaves and what was going on in your life, your country, your friends, your wife, your children. But the idea of just writing psychological memories and somehow trying to raise them up seems like a trick, and memoir, for me, shouldn’t be a trick. Now of course, the book I wrote, this surreal thing, really seems like a trick. But the trick is … because I was never ever going to write a memoir … a valid memoir for a plumber is to write about plumbing, and maybe to draw how pipes go, and talk about what you do as it reflects your life. This will never be a big seller in a bookstore, but your life is your labor, and a memoir about that is really interesting. And there aren’t many. So I decided I would do the letters, and I would put my drawings, because they’re kind of a graphomania, and then various essays that I’ve written or that I’ve published, or ideas about memoir, memories of my father and how his stories helped me understand what I was doing with that project. And that was fun. To have a whole book where every moment of it was done by my hand … there’s nothing in it that’s printed or that somebody else wrote. It’s all mine, and I really, really like that. Would you do a project like that again? Well I can’t really do it again. It’s one of those things that’s like done, a one-off. Did it change the way you looked at the bookmaking process or any of your other work? I talk a lot about my father in that book, and how my father experienced World War II, and it’s a criticism of America’s so-called war on terrorism. It came out the day we invaded Iraq. So it’s using memoir and personal experience as a framework to talk about politics. And actually in most of my nonfiction there are moments of memoir in it where you can find out something about me while I’m trying to talk about something else. In that one, I asked my father, “Were you afraid to be in World War II?” And he said, “No.” And I said “Why not,” and he said, “Well, I thought it was a war between the Germans and the Americans.” And I said, “Well, wasn’t it?” And he said, “Yeah, but I didn’t think I was an American.” Because you didn’t say that black people were Americans. Americans were white people. And then when the Germans started to shoot at him he realized, “Oh, wow, I’m on a side, and even if that side doesn’t like me, that’s the side I’m on, because those people are shooting at me.” It was a good way to teach me. It was not necessarily my memoir, but his. The Graphomaniac’s Primer was put out by a small press that you’ve worked with for years. Are there advantages to working with a small press over a larger publisher? The larger publishers can get their hands on more money, that’s a big thing. And when you’re published with one of the larger and more established publishers people take you more seriously, although it doesn’t really matter, either your work’s good or it’s not good. I work with small presses not for artistic reasons, but more because the book cost 30 dollars, and you’ve made all of the 30 dollars possible because you wrote the book. So if you give that book to somebody whose politics and views of life resonate with your own, i.e., Black Classic Press that I’ve worked with, the whole 30 dollars goes to that press before it goes out into the world again. So the people that work for W. Paul Coates, the people he hires, the people who do the distribution are all people who there’s a good possibility will reflect with my own political ideas and beliefs and goals. And so that’s why it’s good. Paul’s an editor like anybody else, it doesn’t make it easier. It’s a little more difficult in some ways because there isn’t that much wealth going into designing the book. But it’s a way to realize who you are through not just the writing but how you shepherd that writing in the world. While you studied City College of the City University of New York; you formed a mentorship relationship with Frederic Tuten there that led you to your first published manuscript, Devil in a Blue Dress. You also teach. What advice do you have for writers about getting the most out of an MFA program or any creative mentorship relationship? I did have a mentor of sorts, Frederic Tuten, but we were friends. For a lot of people in the “literary world” — I put that in quotes — everything is about writing, at least that’s what they say. The truth is, you just befriend people and you hang out, you talk together, maybe you get drunk together, you talk about girls, whatever you’re talking about. In that relationship, because you’re both in the same profession, just at different levels, things come out about that. I gave Frederic the first draft of Devil in a Blue Dress and then I went off to the AWP conference, and then I came back, and he said, “I gave it to my agent and she read it and she wants to represent you now.” Things like that happen. I wasn’t asking him to do that, and I wouldn’t have even thought of asking. But he did it because here’s a book, and he likes his agent, and knows what she likes, and it all worked out. But I think it’s more to do with friendships, rather than “how do I make the connection to forward my career?” A lot of people think like that, and sometimes it works, but I think even when it works it works to the detriment of the writer. Because we’re writers, and that’s a beautiful, wonderful art. And it’s not about the business or the technique of writing; it’s more about the fun and the meaning of writing. Are you friends with a lot of writers? None of my friends are writers. That’s not completely true, there are one or two people. When I say friends, I mean people I see all that time, and I don’t have any writer friends visit this site right here. Because why would you be … it’s like actors marrying each other. I know they think they have a reason — it’s like life is much more interesting than that. And writing is a beautiful thing, but writers aren’t necessarily a beautiful thing. You’re asking me a particular thing — about when you’re beginning, about going to a school or trying to find yourself, going to readings. Befriend the people that you’re with, whether they’re peers or teachers or whoever. Try to have conversations with them about life in general. With Frederic: I was a computer programmer for many years, and he had a computer that wouldn’t work, and I fixed it. I showed him: now this is how you can write — I set it up where each chapter was a different file, and it was very helpful for him to look at it like that, and so he broke it down in these files. And so I was useful to him. But this is general in life. Really often, for instance, not naming names, I’ll know a writer, and let’s say I’ve done something for a writer, I gave them something or I helped them do something or connected them somewhere, which I do all the time. And then like two years later I’ll get a note from them, oh thank you so much for that thing you did two years ago, can you do something else for me now? It’s like, it was okay that you didn’t thank me in the first place, but then to only thank me to get another favor? What’s that about? So I felt good dealing with Frederic because I was able to help him, and he felt good too. Yeah, we wanna do a musical of Devil in a Blue Dress. I have a wonderful lyricist, a woman named Issa Davis, she’s multitalented, a great playwright. I’m writing the book but she’s writing the songs. She’s also a musician and a singer and a performer and a million other things. She’s a talented woman. And there’s a director we’re working with, Liesl Tommy, she’s South African, she’s helping us organize it. We’re still trying to find the right composer, but the book is written. It may change a lot, but it’s written right now so at least we have a frame to hang it on. And it’s so interesting because you write the book, and the book looks like the whole thing, but then the songs begin to take over pieces of what people were saying in dialogue, and then expand on things, and make things smaller. So we’ve been working on it, but we have to find a composer. How different is that from writing a stage play? A stage play, which I think is the hardest thing to write, is so difficult because all you really have is an actor, or actors, talking to an audience for two hours. It can be really, really boring. Making it interesting — like, keeping it going — is difficult. The nice thing about a musical is, well, you have music and you have choreography and you have singing and you have all this other stuff, which is entertaining. I think song is probably the most potent human art. To hear a song and to be elated or depressed or frightened … the story goes that when Billie Holiday came out with the song “Strange Fruit,” about the lynchings in the South, that there was a period of time that it was banned from the radio because people would hear it and kill themselves. There’s no painting, sculpture, novel where anyone says “I don’t know if I should let you read this because you might kill yourself after you read it.” But a song gets deep past your brain down into your chest somewhere. And so that’s where the power of this musical is gonna be. The book is much more like an outline that will be filled out by the music and song. Has music influenced you as a writer? I don’t know, I don’t think much. I’m not in any way musical. I can’t even keep a beat. I mean, honestly, it’s awful. RL’s Dream is about the blues, and the blues I think was the articulation of tragedy in the 20th century. I think that that’s probably true not for the whole world, but for most of it. And every century you have something else that’s tragedy — our deepest emotion — so in writing about a guy remembering having played with Robert Johnson, or in other words, in a novel in which Robert Johnson is the negative space, I was trying to connect with that articulation of tragedy. You don’t tweet. Does social media have a place in a writer’s life? I just don’t have the time. It would be fine to do if there was something to do it for. Like, tweeting was great in the Arab Spring. We’re organizing there, we’re doing this, we’re doing that, passing information that can’t be stopped. Maybe not even monitored. It’s kind of wonderful. But the idea of doing it — I feel there are two problems with social media for me — there’s no problem with it, it’s fine to do — the idea that number one, you’re doing it for self-promotion. I have a Facebook page, people can go to that, and that much advertising I think people want. They can friend the space, find out what I’m doing, what’s coming out. The other idea is working on it all the time. I’m a writer, and that’s the writing thing. My criticism going back to the earlier thing about memoir — I’m not really writing about me. Like, I don’t find myself very interesting. There are people who find themselves very interesting and other people find them very interesting, and I want to follow them. An actor, a guy who seems to have this great sense of humor, I like reading him or her because the way they see the world is kind of wonderful. That’s a job that they’ve given themselves, whether or not they make money on it. But I’m not that. I think things; I write them and put them in my books. So I would rather spend more time with my books than doing something that is less interesting to me, i.e., me. I find my books more interesting than me.